— Main Menu —Home News About Us	- Who We Are - Our Press and News - Testimonial - Our Videos - Gallery - What’s a Cooperative? Get Exporting FAQs Partners Sign Up! Get startup and exporting advice for free! 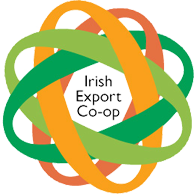 It is our privilege to be able to announce that the Irish Export Cooperative will be taking part in getting SME’s exporting at the RDS for businessexpo.ie. Amongst many of the opportunities available, the Export Coop will be in the ‘Export Pavilion’ assisting the attendees of the exposition to find out more information and to get exporting. This incredible initiative, the National Business Expo, is an unmissable event for anyone thinking of starting up or already involved in a small, medium or micro enterprise in Ireland. The show ranges from start up supports to finance workshops to incredible speakers and events. For just two days, the RDS will be a showcase for everything positive with the sector and a guide for those who have questions about running a small business. If you are interested in the supports that are available, check out the list of those that will be on stand: InterTrade Ireland, Management Works, LIT, Enterprise Ireland, FR Kelly, Credit Review Office, County Enterprise Boards, Bank of Ireland, Microfinance Ireland, Vodafone, 11890, UPC, Kernel Capital, Sage, Grant Thornton, Irish Times and RTE Radio One amongst many other exhibitors and speakers. Amongst many of the workshops and seminars that are offered are: new market entry, e-commerce, mobile marketing, social media, business productivity, space as a service, selling online, product protection, cloud computing, digital mentoring, business model development, senior enterprise, women in business, exporting, credit clinics, setting up a company and r&d tax credit amongst a host more over 2 days. Also, why not check out and share our micro site on the businessexpo.ie main site. Chris MM Gordon is Chairman and Founder of the Irish Export Cooperative. He is a starter, business and social entrepreneur. Chris is a Social Innovation Fellow with StartingBloc, a Pathfinder Fellow from the Tällberg Foundation, Owner of the Trophies Awards & Gifts Store Chair of the Irish Social Enterprise Network and a few things more. He holds a Guinness World record of most number of leprechauns in one place and he doesn't speak Japanese. We’re here to get you exporting. 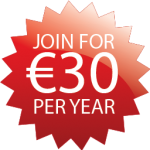 We are a group of likeminded SME’s in Ireland looking to reduce the costs of our exports.